This is Post 2 (of 3) on the very special chant, shen khar venakhi (You are the vineyard). Post 3 pursues the topic of performing West Georgian variants of shen khar venakhi. 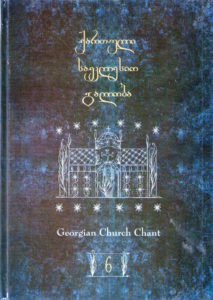 In the chant tradition of East Georgia, only a few versions of the chant shen khar venakhi have survived. 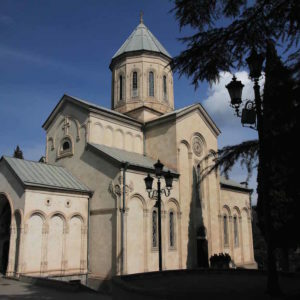 In principle, there is only one variant from the oral tradition: that inherited and transcribed by the Karbelashvili brothers in the 1880s (here referred to as the Karbelashvili variant). They published this variant in 1898. In the manuscripts however, there are other copies of the chant with variations in the middle voice, showing that specific notes varied from one performance to another. 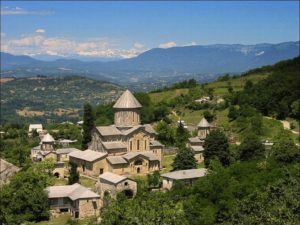 In 1909, a Catholic composer named Zakaria Paliashvili arranged the chant for six-voice large chorus (SATTBB). 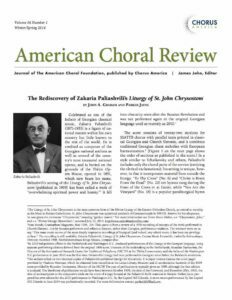 Hardly anyone sings this large-chorus variant, but in 2014, the Capitol Hill Chorale (Washington DC) made what is very possibly the first recording. In the 1950s, the Palishvili variant was reduced back to a 3-voiced format, and popularized by the Rustavi State Ensemble. This variant is today called the "Paliashvili" variant, and is the most popular globally. The Paliashvili variant also appears in other arrangements. Perhaps the most common is the "Georgian Cherubic Hymn:" - a setting of the Orthodox Christian text "Let us the Cherubim" to the music of the Paliashvili variant of shen khar venakhi. This setting was originally arranged in the 1990s into Russian, but has since been translated into English and others languages. 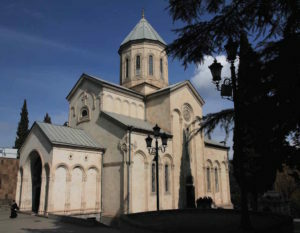 The Paliashvili arrangement (1909) is notable because it was the first time a composer published a creative interpretation of an original chant. Other Russian-trained composers such as Ippolitov-Ivanov, Klenovsky, and Sulkhanishvili had all dabbled in arranging chants. 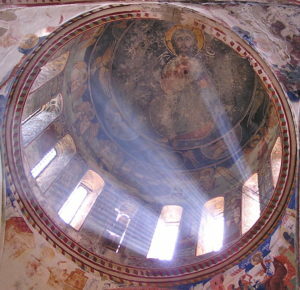 But Paliashvili published his arrangements under the title "Liturgia." 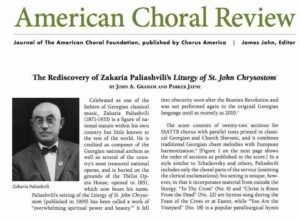 For more on the Paliashvili arrangements, see this article: "The Rediscovery of Zakaria Paliashvili's Liturgy of St. John Chrysostomos" (2014). 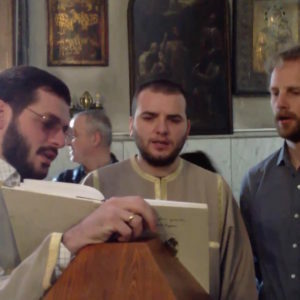 Paliashvili, a Catholic organist trained in the Moscow Conservatory, was criticized by the Karbelashvilis - a group of five brothers who were Orthodox priests and inheritors of the East Georgian chant tradition. 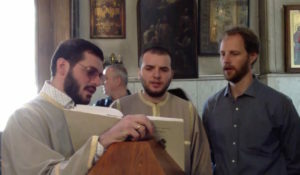 Originally, the Karbelashvili brothers had helped Paliashvili learn traditional Georgian chant (after he returned from studying with Sergei Taneyev in the Moscow Conservatory in 1903), but later, they publicly denounced his works, citing his intention to "break the form" of traditional chant. 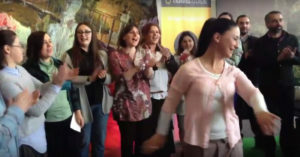 Paliashvili defended his work, saying he modernized the traditional three-voiced form for large chorus, but maintained the melody. 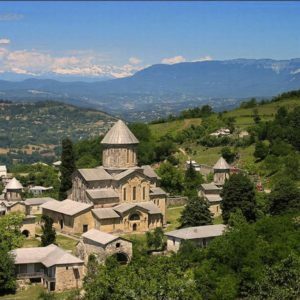 75+ performances of the popular East Georgian "Paliashvili variant"
- The (famous) East Georgian variant of shen khar venakhi has a very simple musical structure. 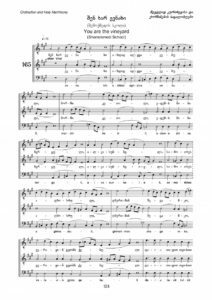 - Of its five textual phrases, the first four (and a half) are sung to the same melodic fragment. The melody can be heard in the top voice. This melody fragment appears elsewhere in the canon of thousands of Georgian chants, specifically in the melodies assigned to the genre of troparion in Tone 6. 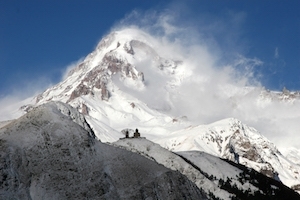 - The final musical phrase of shen khar venakhi describes a simple cadential formula common to many East Georgian chants. - The bass voice harmonizes the melody at the interval of an octave or a fifth. Its own linear movement is mostly through step-wise motion to neighboring pitches. - In the beginnings of the phrases, the bass voice tends to move in counter motion to the melody, much like an accordion stretching and pressing back together again. - At the medial and phrasal cadences, the bass voice tends to move in parallel fifth motion with the melody. - The middle voice is at liberty to fill the space between the outer voices with moving notes. 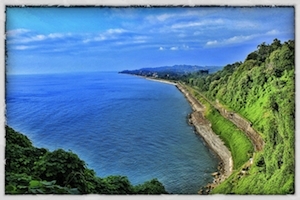 In many East Georgian chants, the middle voice sings the same number of notes as the outer voices. But in shen khar venakhi, the middle voice sings twice as many notes. Thus, to sound good, the tempo of the chant must be slowed down so that every middle-voice note can be heard (see performance tips below). - while the middle voice has many of the moving notes, it is in fact a harmonizing voice! The model melody is sung by the top voice. The middle voice must be playful, spontaneous, and make use of potential variations in its harmonizations of the melody. This can be accomplished by teaching multiple cadential formula harmonizations to the middle voice, and letting them experiment with which one they will use for any given cadence. These kinds of "small freedoms" excites and drives the chant, as the singers feel free to be creative in real time performance. 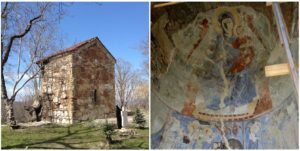 - Georgian choirs tend to perform the Karbelashvili variant with Georgian timbre and vocal technique, while singing the Paliashvili arranged variant (1909) with European choral technique, which is a curious conflation of repertory and performance style that I explored in this article. 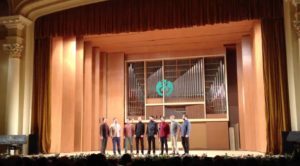 - Recently, the Paliashvili variant (as reduced by the Rustavi Ensemble in the 1960s) was published in the United States. 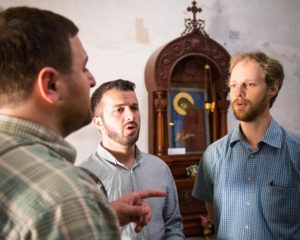 It is available for SATB four-voiced choirs (soprano-alto-tenor-bass) with the tenor-bass doubled at the octave, and/or three voiced variants for SSA choir, or TTB choir. - Typically, performers sing this variant at about 30 beats per minute per syllable (in this notation, quarter note = 60). In my opinion, however, the chant was most likely sung at twice that speed. 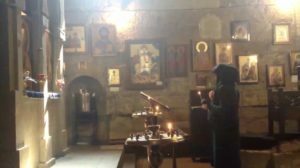 If one compares this chant to others from the East Georgian repertory that are more syllabic in terms of the number of notes per syllable (dideba maghalta shina), each syllable is sung at about 60 beats per minute. 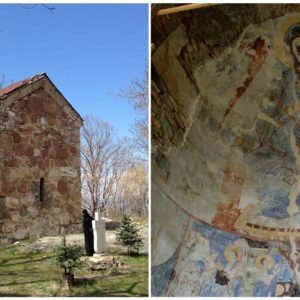 - But in shen khar venakhi, because the middle voice has so many notes, choirs tend to sing the chant slower and slower (the Rustavi Ensemble popularized a very slow tempo for this chant). Note, such highly ornamented middle voice parts only occur in the transcriptions of Vasil Karbelashvili, and not, for example, in the majority of East Georgian transcriptions from other figures such as Vasil's brother Polievktos or nephew Pilimon. 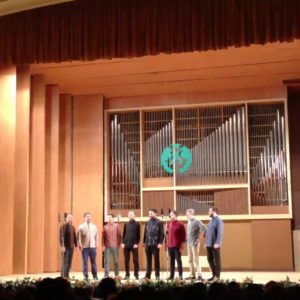 - Some international choirs have experimented with singing the Paliashvili variant faster, but the result has not been well received. It sounds rushed when multiple singers are racing through the middle voice. The middle voice should be practiced in parallel thirds to the top voice, and then the ornamental passing tones added in later. If it can sound like a playful after-thought, so much the better. 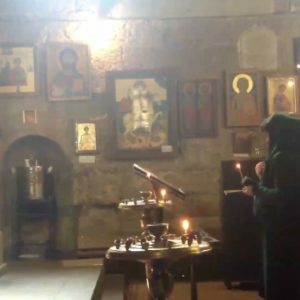 - In my opinion, the best tempo for use in a liturgical service is achieved by the Anchiskhati Choir singing the Karbelashvili variant (see video above, or click this link). Most helpful, John – thanks!